It’s that time again… The sun’s rays are steaming, lads and ladies flash the trendy swag of freedom and united spirit as the tubes are heating up to crank the sound of pure enjoyment from the many diverse musicians from around the world. 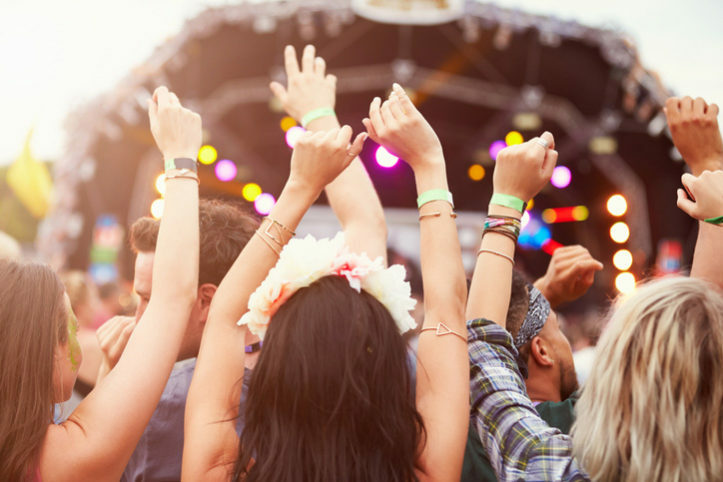 You don’t want to miss out on the epic experience the Coachella Music and Arts Festival provides with its 3 intense days of music, original-large scale art and life changing memories with friends and strangers alike. To make your experience as memorable and pleasant as possible, I would suggest a few tips and tricks that not only save you time and money but peace of mind and some relaxation. Let’s start with the basics shall we. H2O -There is one thing no one can survive without. Water people! Bring and drink LOTS of water. I’ve know festival go-ers to bring camel packs, plastic water bottles, bags of ice; whatever it is, make sure it is refillable and remember, NO GLASS! SET LIST– Print a set list at home and circle those bands you really want to see then map it out. Travel time between sets takes time and you don’t want to waste it trying to figure out which band to see. LEAVE EARLY -Once you arrive at your destination, it can take HOURS to get in if you’re parking on site or taking the shuttle. Plan on leaving early to head to the festival then either packing up early to head home or hang-out late with all your new friends. More acquaintances are made while waiting for crowds to die down when the festivities are over. MEETING PLACE -If you have not been to Coachella, you’ll soon find out that cell reception is hit and miss so designate a meeting place and time with friends during the day. If you do text, give affirmative statements like “meet at stage 3 5pm”. SUNBLOCK -What is worse than sweat dripping from everyplace on your body? The tender sunburn you acquire after day 1 because you forgot to slip it in the bag. Remember to care for your skin so you’ll remember the good times. BOOZE -The hot desert and beer don’t mix very well, especially when you’re going 24/7. Save the partying for sundown when it cools off. Your body will thank you the next day. BACK-UP BATTERY -Though there are charge stations available in some locations at the festival, you can bet they will be packed and who wants to spend travel time between sets at the charge station while your missing Phantogram throw down beats! Either turn data off and save your phone for pics of your favorites or bring a backup battery. MERCHANDISE -If you are wanting that signed record, poster or want a souvenir to bring home, pick it up early before the show is over. Lines get outrageous after the show. HYGIENE -Here are a few tips if you are camping on site. Bring a porta potty and save yourself from the filth that happens when people can’t aim well. Also, baby wipes or wet ones and your best friend when it’s dusty and hot. I swear by them in place of a shower or lack of being able to wash up. After you have taken this list to heart, you’ll be able to cram in the car with all your friends, companions, lovers and family and head to the desert to experience music the way it should be; euphoric, transformative, free of societal norms and full of connection and elevation.